The AMD Radeon R5 (Stoney Ridge) is an integrated graphics adapter of the weaker mobile dual-core Stoney Ridge APUs. At its launch, it is being used in the AMD A9-9410 and has 3 active Compute Cores (384 shaders). Depending on the model, the maximum clock is 800 MHz. The performance can vary heavily depending on the configured TDP and the system memory. Compared to the Radeon R5 from the Bristol Ridge series, it only has 3 instead of 6 GCN cores (and is the full configuration of the Stoney Ridge chip). The Radeon R5 is equipped with three cores from the third GCN generation (often called GCN 1.2 or 2.0 by the press). This means it is very similar to the Tonga desktop chip and supports DirectX 12 (FL 12_0), but the graphics cores can also be accessed via Mantle, OpenGL, and OpenCL. 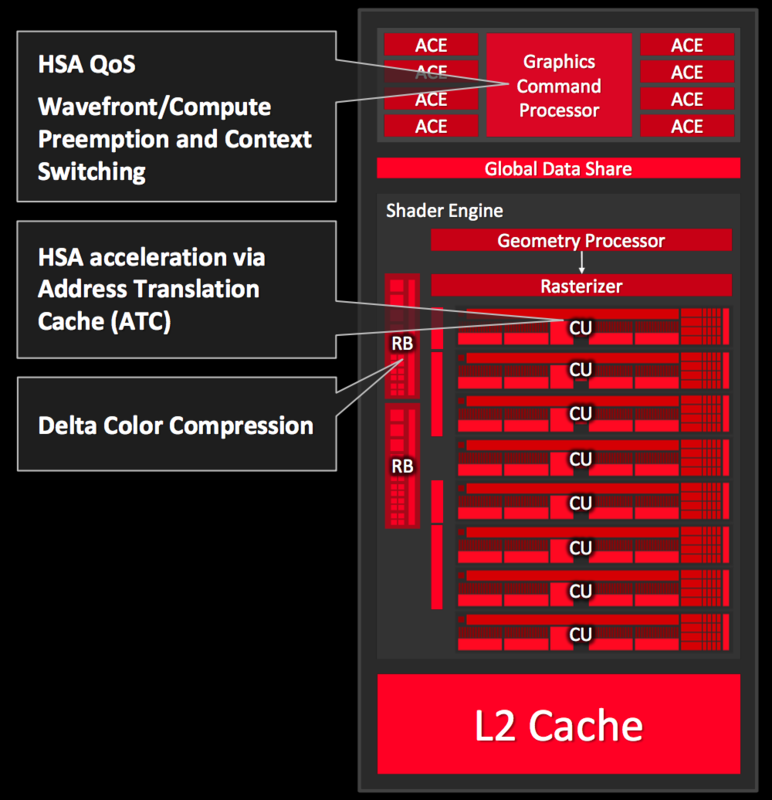 The GPU supports the HSA 1.0 standard as well and can therefore use the connection with the CPU cores very efficiently. The technical specifications are identical to the Carrizo predecessor. The video unit includes the UVD 6 (Unified Video Decoder), which can decode HEVC/H.265 and 4K with support from the hardware. More details are available in our dedicated Stoney Ridge article. Depending on the model and configured TDP (cTDP), the 28 nm chip is specified with 10 up to 25 Watts. This means it can also be used for thin and light notebooks.